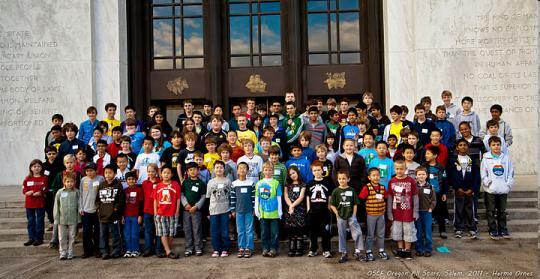 The Fourth Annual Oregon All-Stars Invitational chess tournament was held at the state capitol building in Salem on October 14, 2011. The event has grown every year since the inaugural version in 2008, nearly doubling from 61 players the first year to 117 this year. Full results are posted and games rated at uscf.org.